You don't need to have the perfect swing to have the perfect result. But you do need good rhythm, good tempo, good timing and consistency. 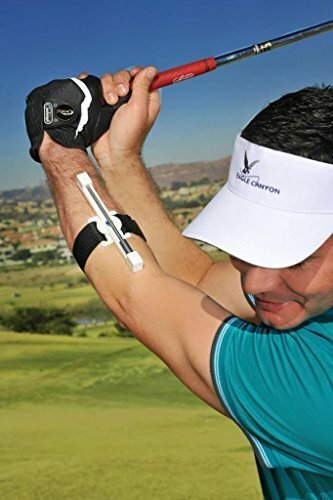 For the first time, you have a golf training aid which you can take on the golf course on a practice round, use at a golf range or even practice with at home. Golfers tend to lose their rhythm and tempo on a golf course when they are under pressure and this allows you to practice how to keep your rhythm while playing a game. The swing CLIKI teaches you to swing smoother, so instead of hitting the ball as hard as you can, you learn to swing the club and allow the club head to generate the speed. It also allows you to create time in your swing, in order for the club head to get back to square. Your ball ends up going further, each shot is more consistent and the golfer ends up hitting more fairways and greens. If you have any questions about this product by SwingClick, contact us by completing and submitting the form below. If you are looking for a specif part number, please include it with your message.